Dr.Sankalp Dudeja: There is no secret as such. Hard work and self confidence did it for me. Dr.Sankalp Dudeja: They had a major role to play. My parents and friends were the pillars of support all through my preparation. Dr.Sankalp Dudeja: My father, Who is a doctor himself, inspired me towards medicine. Dr.Sankalp Dudeja: Yes there were such moments of course but my parents support pulled me through. Dr.Sankalp Dudeja: Harrison for medicine, Bailey for surgery, op Ghai for pediations. Dr. JB Sharma’s book for obstetrics and other standard text books. Dr.Sankalp Dudeja: Amit Ashish and Mudit khanna for previous year papers. Gobind garg and across for subject wise. 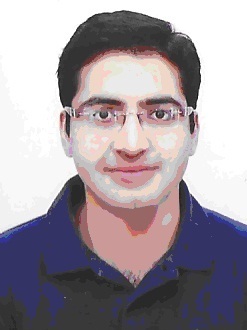 Dr.Sankalp Dudeja: I joined DAMS Grand test series which i think was very useful. Dr.Sankalp Dudeja: They have NEET PG from this year onwards. Dr.Sankalp Dudeja: Medicine, Pathology and Pharmacology, I think area the major chunk. Small subjects like forensics, Anaesthesia, dermatology etc. are also important. Dr.Sankalp Dudeja: I attempted 299 questions. I thought i should attack each question. I marked the answer even if i could rule out one option. Dr.Sankalp Dudeja: not yet decided. I am confused bin Radiology. Dermatology and paediatrics. Dr.Sankalp Dudeja: I didn’t join the classroom course at DAMS. So, I don’t have any idea about the faculty. I once attended a seminar on ‘how to crack PG Entrance’ by Dr. Sumer Sethi at ALLMS and found that quite inspiring.